When watching the trailers that precede any big summer action flick, it can sometimes feel like you’ve just watched the same 2-3 minute clip four times in a row. Either due to laziness or some sort of esoteric marketing science, every new trailer tends to hit the exact same visual and emotional beats, ultimately leaving the viewer with a bland taste in their mouth. Now, thanks to a new instructional video, you can experience the benefits of that same repetitive formula without having to worry yourself with plot, characters, or even a real movie. 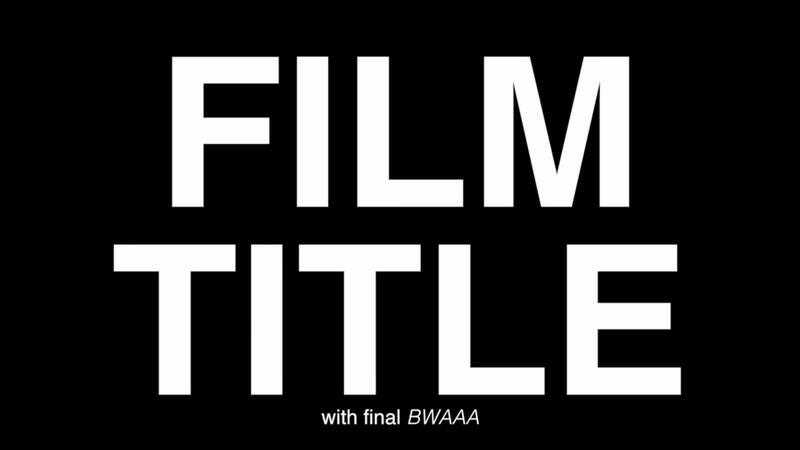 “How To Make A Blockbuster Movie Trailer” employs all the familiar tropes that moviegoers have seen in the past few years. There’s the ominous single note, the jarring over-use of “BWAA”s, and, perhaps most egregious, the “unexpected cover of a classic hit,” but the most accurate aspect of this parody/analysis is the focus on visual effects money shots. Big-budget movie trailers are no longer interested in informing the audience about the film or convincing anyone that the story will be good. They’d much rather hit people in the face with a “montage featuring every available VFX shot.” Studios want viewers to be blown away by their trailers, but if every trailer you see looks and sounds alike, you may as well be watching white text on a black screen.